Eazy, Telekinesis, Mob Tactics, Danny Byrd, Dungeon beats and more. 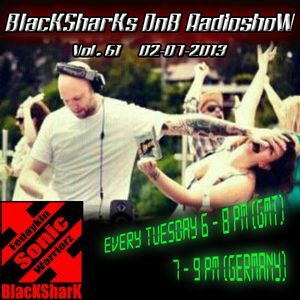 BlacKSharKs DnB Radioshow Vol. 61 on www.dnbnoize.com, on the 2nd of July 2013 with 2 guestmixes by RiseAb and Jonny Kage!